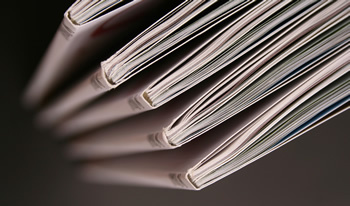 The Office of National Drug and Money Laundering Control Policy (ONDCP) and the Antigua and Barbuda Defense Force (ABDF) continue to display their partnership in solidifying the efforts of both agencies. The latest such gesture is a donation by the ONDCP to the ABDF. On February 21st 2017, during a brief presentation ceremony at the ONDCP Headquarters, Lt. 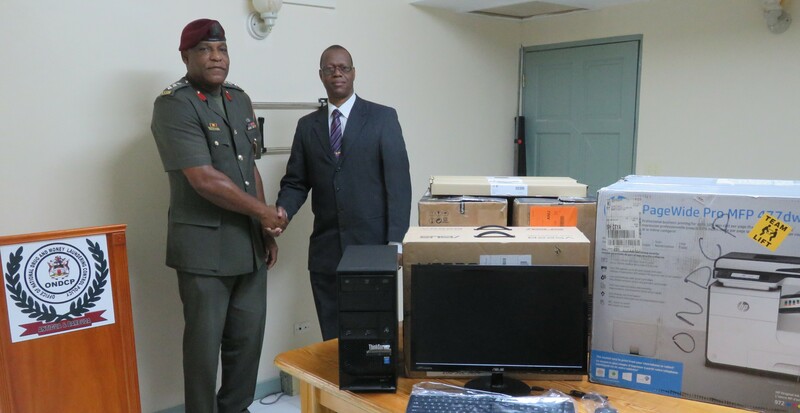 Colonel Edward Croft, Director of the ONDCP presented two (2) 22’ LCD monitors, 2 Windows Desktop PCs, 2 Keyboards and 1 multifunction office printer to Chief of Defense Staff of the ABDF, Colonel Sir Trevor Thomas, who was on hand to receive the items. Colonel Sir Thomas expressed appreciation to Director Croft for the items and indicated that the donated items would significantly contribute towards enhancing the administrative capability of the ABDF. Both agencies have committed to continue their efforts to a more coordinated approach to national crime fighting efforts as well as to the security and defense of the nation of Antigua and Barbuda.